Krissi Reeber, PA-C, is a beloved certified physician assistant working at Weight Loss and Vitality in Alexandria, Virginia, and Washington, DC. In her role, she works closely with the physician's to offer compassionate and comprehensive care to patients. She’s trained in noninvasive, in-office procedures to enhance the body and face along with optimizing intimate wellness of both males and females. Krissi’s love for knowledge is evident through her impeccable academic record. She received two bachelor’s degrees with highest honors from the most prestigious universities in Florida. Following this, she pursued a Master of Arts in Sociology and Equity Studies in Education from the University of Toronto in Ontario, Canada, graduating with highest honors. Krissi also decided to earn another master’s degree at Nova Southeastern University in Davie, Florida, where she graduated in the 99th percentile of her physician assistant class. 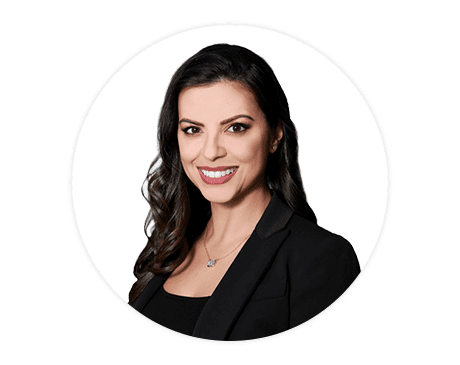 Krissi has years of experience working as a physician assistant in vascular surgery, cardiology, and urogynecology prior to finding her main interest to be aesthetics and cosmetic medicine. Her other experience includes physical medicine and male and female hormone replacement. She draws her knowledge from working with patients of all backgrounds to help customize a treatment that suits their needs. At Weight Loss and Vitality, she works alongside the other physicians to provide personalized care for each patient and set realistic expectations while placing safety first.